Airdrops raise awareness, even Paypal (pre blockchain) discovered the awareness effect, and goodwill giving away $20 to sign up and verify your account back in the early 2000s. Paypal is now a household word and $50 billion company. 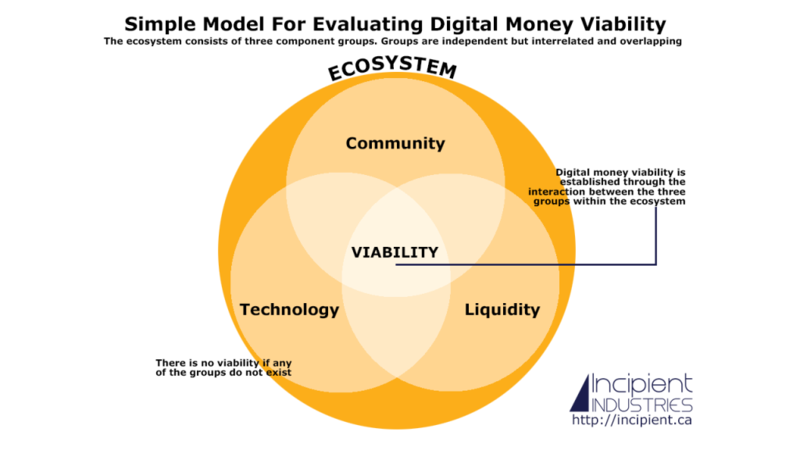 This awareness has a tendency to increase the token value as well as create a network effect. IE: A network effect (also called network externality or demand-side economies of scale) is the positive effect described in economics and business that an additional user of a good or service has on the value of that product to others. This marketing strategy plays on a cognitive bias known as the endowment effect. 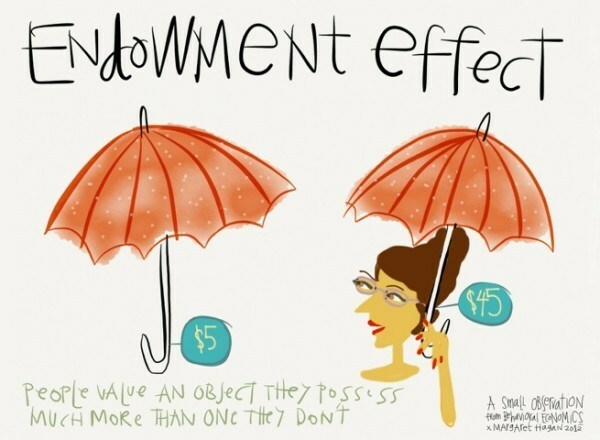 In psychology and behavioral economics, the endowment effect (also known as divestiture aversion and related to the mere ownership effect in social psychology) is the hypothesis that people ascribe more value to things merely because they own them. 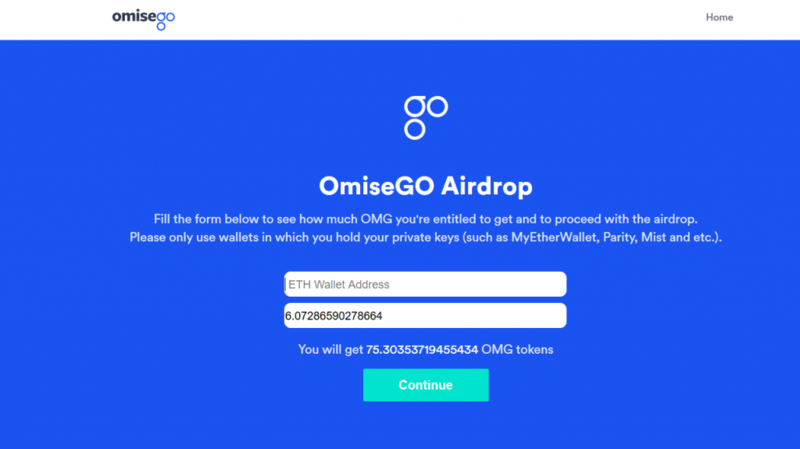 OmiseGo conducted the first airdrop of this kind and amplitude on September 4th – distributing 5% of the total issuance of OMG token to every ETH address, with a minimum balance of 0.1 ETH. The airdrop enabled each ETH holder, by providing them with a share of the 5%, proportional to their share of the total circulating supply of Ether. The aim of the airdrop was to allow the token to be distributed as widely as possible, allowing for true decentralisation of the platform, to ultimately increase its network security. The TRON foundation just recently completed an airdrop to market the Tron platform, which was set to launch a few days after the drop. Its desired effect on awareness had little impact most likely caused by the current bear market. 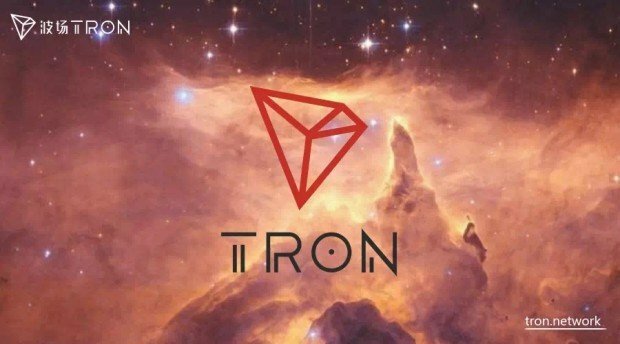 The cause could be simply that Tron was omnipresent in social media since January, meaning people were already aware of an incoming airdrop, or as this is the first airdrop that took place squarely in the middle of the current bear market we find ourselves in, so overall interest in cryptocurrency has led to this lack of interest in Tron’s airdrop. However, POLY (Polymath) after privately raising 12.9 million decided to airdrop 10 million POLY coins to the blockchain community instead of an ICO, deciding to allow anyone to subscribe to the airdrop regardless of their holdings. They received more than 40,000 applications complete with KYC and AML screening, to ensure that the tokens were airdropped to real users, rather than bots. All the people which completed the procedure received 250 POLY, worth $165 at the time of writing and $400 at the token’s all-time high. Similarly to the other projects, besides Tron, the marketing scheme worked, as the search interest for Polymath reached its all-time high by the 10th of January, the deadline to apply to the airdrop. In summary, it is strongly evident the additional benefits awareness causes trading and coin demand increase drives coin prices up. Inspired by the Paypal Hack, the Dropbox Campaign, then Crypto based Airdrops by OMG, EOS and TRON, amazing successes, effective yet short events; Markethive in the spirit of the Bitcoin Faucet and Universal Income is delivering the Infinity Airdrop. Simply join Markethive and receive coin, an offer with no end. Imagine a faucet giving away 5BTC! That’s what Gavin Andresen’s faucet was paying back in June of 2010. It was his first bitcoin-related coding project and he started it off with à¸¿1,100. At today’s prices, that’s close to $7,150,000. Your claim of à¸¿5 would be worth $32,500! The concept created a huge, subculture phenomenon; with literally 1000s of sites operating like survey sites to get free Bitcoin. Unfortunately, the process today is anti-productive and only the most stalwart contenders are able to keep to the tasks due to the oppressive popup ads, viruses, browser hijackings, etc. The concept is intriguing and we believe the promise is solid, just waiting for a system to do this right. 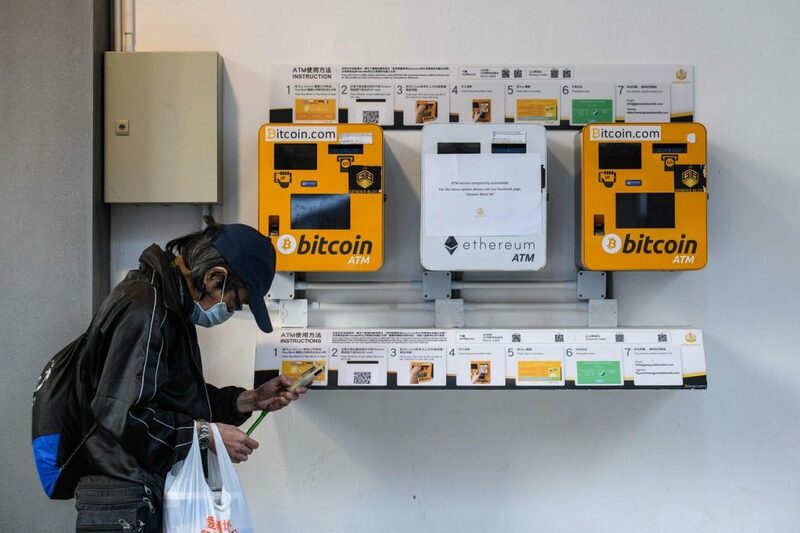 There is something there, blockchain, crypto, anti-inflationary coins, faucets and airdrops and Universal Income. Conventional Wisdom seems to think by heavily taxing the elite and profitable business interests, the masses can be given a sustainable income to survive. We do not agree. It is nothing more than a repackaged attempt at communism, stealing from the rich by the middleman, and giving to the poor, creating an entitlement culture, and a rich and powerful middleman (after all they will become more equal than you) bureaucracy and autocrats running the show. There is the absence of any motivation for the recipient of their allotted Universal Income (thereby destroying self-esteem) and the whole idea supports tyranny in every way. We offer an alternative Universal Income. Get paid to support the entrepreneurial culture by simply working at building your dream within the ecosystem of Markethive. To attract the masses of entrepreneurs, we launch and operate the Airdrop. The never-ending Airdrop. Markethive has set goals to build out portfolios of Coin Exchanges (like Bittrex and Cryptopia), News Sites (Like Cointelegraph and News.Bitcoin), Web building systems (like Wix and Volusion), Green House hybrid mining systems, and an ongoing strategy to build “money machines” to contribute to the sustainability of the Markethive Universal Income for Entrepreneurs. While PayPal rewarded its users with cash, Dropbox gave extra storage space to both the referrer and the referees. This was clever, because it invests the users in the product. It made sense for PayPal to give cash, because they’re a payments company and need users to use their service to make financial transactions. Dropbox is a storage company, and they need their users to use their service to store stuff. In both cases, the optimal currency is the lifeblood of the product. In World of Warcraft, the reward is in-game social currency, in the form of rare Mounts that can be shown off. EOS has become a powerhouse in the crypto space. One of the most promising things about it is the airdrops. Unlike Ethereum, many EOS projects are choosing to collect zero funds up front. Instead, they simply drop their token to the EOS community, while dropping themselves tokens to fund their project. The EOS markets then decide the value of the token based on demand, The team then sells some of its tokens to raise money. Since it’s easy and practically free to start a project on EOS, new players are popping up every day. Shortly after their first Airdrop, things started happening for OMG. OmiseGo's OMG token is reporting double-digit gains today, figures that throw shade on the rest of the top 25 cryptocurrencies by market valuation. Having clocked a two-month high of $20.67 earlier today, OMG is now changing hands at $18.20 on Bitfinex – up 15 percent in the last 24 hours. Meanwhile, OMG's BTC-denominated exchange rate jumped to a seven-month high (highest since Sept. 30) of 0.0023466BTC. The price rise may be associated with the OMG's listing today on Bithumb, one of the biggest cryptocurrency exchanges in South Korea. The token was also listed on Zebpay, one of India's largest cryptocurrency exchanges, yesterday. According to the chart analysis, though, the outlook will remain bullish as long as prices hold above $14.40. 500 coins will be transferred to every new subscriber to Markethive upon completion of the registration process. An additional 100% matching bonus will be awarded to (either) the qualifying referrer, or in a rotational share assigned to a qualifying member in the CAP (Customer Acquisition Program) Thus 1000 coins will be used for every new subscriber, thereby producing 1 million new Markethive subscribers. To qualify for the matching bonus, the CAP, and other benefits, the subscriber must upgrade to the Entrepreneur level at $100 per month. The benefits of this upgrade far outweigh the monthly costs. The Entrepreneur upgrade is explained in detail further down. In scores of focus groups when the participants understand the benefits with the Entrepreneur upgrade we consistently get 100% of the participants agreeing they would enthusiastically upgrade to Entrepreneur. We are downgrading our projection to 10% for this illustration at the lowest expectations. First Airdrop of 1 billion coins divided by 1000 (500 to the new registrant and 500 to the referrer) equals a total of 1 million registered members. Estimating 10% will upgrade to the Entrepreneur level at $100 per month or pre Pay $1000 per year ($200 discount) that monthly income revenue valued at $10 million in USDA. 20% of Markethive revenue (profit) is set aside to pay back the loan (ILP) holders, share(s) of that profit. There are 4 phases in the crowdfunding. If the Airdrop is launched when Phase one is completed, and that Airdrop produces 1 million subscribers as projected and 10% of those subscribers upgrade to Entrepreneur level, as projected, then those 125 ILP shareholders will each receive $16,000 as projected (but not guaranteed) the first or second month, depending upon the effectiveness of that campaign. As such if we do not launch until Phase 2 is completed, there will be 250 ILP shareholders activated to receive equal shares of the projected revenue of 20% of the $10 million making each holder $8,000 per month as illustrated and projected. If we should complete all 4 phases prior to launching the Airdrop etc. then the projected revenue will be shared amongst 1000 shareholders (500 active and the 500 projected Shadow holders) paying out $2,000 per month per share. We are seriously preparing to replace both LinkedIn and Facebook as the next-gen network, the Market Network. No other system out there has the advantage to do this. We are well branded. 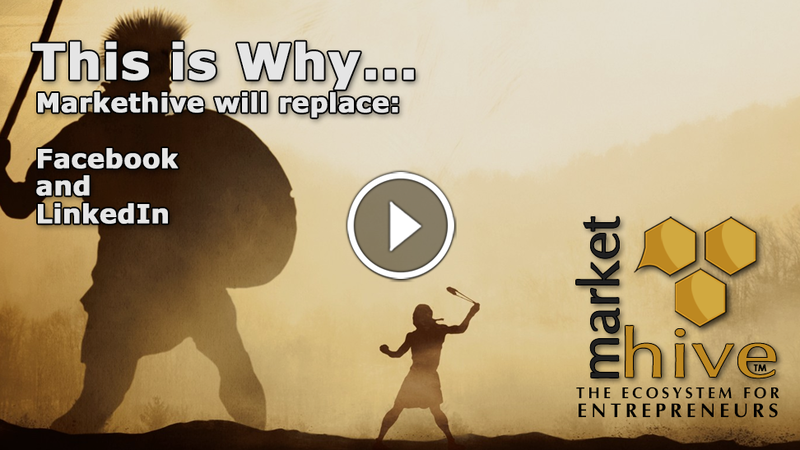 Markethive perfectly brands and illustrates exactly what we are. A Market Network, a name easily remembered, a name that has been trademarked in the US and internationally in as many classes possible, ensuring command over the usage of the name. We have also taken control on 95% of all TLD domains. We also control the name as a username on every Social Network that matters. Markethive has been operational in BETA with over 5000 subscribers for nearly 4 years. Our entire system is run on our copyrighted code. It is a proven system and continually improves. Markethive is converting to the blockchain to increase security, ensure privacy and establish digital currency viability. Blockchain conversion gives us our own coin to conduct internal commerce but also trade and commerce outside globally. Having our own viable coin, allows us to activate a Micro Payment system, to reward active members, with a real Universal Income with Markethive tradeable coin. Everything (Airdrop, Inbound Marketing, Social Networks, Blogging Platform, Broadcasting, Groups, Campaigns, Capture Pages, Conference Rooms, earning free coins, Messaging, Wallets, etc.) in Markethive is free. You can even be rewarded for referring your friends and traffic to sign up via the Infinity Airdrop. Markethive has a Micro Payment reward system where you can earn income by simply using the tools of the system. To activate it, you simply refer 3 people to sign up via your profile page. Earn 100% Matching Bonus on all signups referred through your profile page. This can be as much as 500 coins, traffic 1000 people to register through your profile page and earn up to 500,000 coins. (Steem a social networked blog blockchain platform only, coins are trading at $1.30 and earlier this year had reached over $6 per coin. We expect Markethive coin to eclipse Steem once Markethive gets rolling). Facebook makes friends, LinkedIn makes connections, and Twitter makes contacts. None of these give you additional social accounts, verified phone number, full name, IP, agreement to connect, etc. Markethive’s Entrepreneur program acquires this for you and calls them Associates, superior lead development within a nurturing program. Buying customers is a relatively new concept. Trivita does this for their distributors. Buy a marketing share and receive 1 customer. They charge between $60 to $150 per customer. It is a sound concept and helps to grow the budget for larger advertising campaigns. The Entrepreneur upgrade is built on this concept. We take the revenue raised by the Entrepreneur Upgrade and run million dollar ad campaigns, video ads, press releases, articles, social networked reaches to drive the awareness of the Markethive Airdrop, the Markethive system, and the Markethive Universal Income. Our Co-op sells shares, which means you could receive a lot of “customer” referral signups, not just one. The epitome of Inbound Marketing is the Traffic Portals. They assist in generating additional traffic that converts to customers for your benefit as the Entrepreneur upgrade at Markethive. Banners appear throughout all Markethive dash board pages, blogs, and Traffic Portals. Exposure is guaranteed. Banner advertising is exclusive to the Entrepreneur Upgrade. Banner ads may run up to 7 days. Compare to other systems banner ad programs average $100 per day per banner. Banner ad placement in the Markethive system is unlimited. Having your own replicated site will tag all crowdfunding applicants to you. Any ILP that is processed will earn you an equal shadow version of that ILP. The only difference a showdown ILP is to an active ILP is the shadow is not actively sharing profit until the crowdfunding campaign is completed. Then the shadow ILPs become active for the same terms the ILPs Have. This can be a significant opportunity to build an investment that has the potential to return significant revenue over the years of the terms of the ILP. MainNet that is now 7 days and 13 hours away, Justin Sun is gifting the TRX community what he calls ‘Millions of TRX Candies’. These candies are in the form of TRX airdrops received for inviting friends to the Tron Telegram Channel. The Airdrop is currently ongoing and all you have to do is follow the link provided and enter your corresponding ETH wallet address. The announcement looks legitimate in that Justin Sun announced it himself on twitter, and the TRX team on Telegram, also confirmed his statements. The link to the airdrop states that you get 2 TRX the first time, and get an additional 4 TRX when you invite a friend to join the Telegram group. The Airdrop ends on the 1st of June. However, and due to regulatory issues, the airdrop is not available for participants from China, USA, New Zealand, Canada, South Korea and OFAC sanctioned countries. A Crypto Enthusiast. Terrible dancer. Former DJ. Amateur Marathoner. Electrical Engineer. Kool kat. What are âAirdropsâ in Crypto World? and wondered what it meant? Well, it’s nothing like the image you probably have in your head of an airplane dropping coins from the sky. In times of war, natural disaster, or other forms of crisis where the lives of people have been affected in places that are difficult to access by land, airdrops are carried out to provide essential supplies to people trapped in those zones. In the world of cryptocurrencies, airdrops have a different meaning. The cryptocurrency world has its own unique vocabulary which is expanding as the market evolves over time. In this article, cryptocurrency airdrops will be explained in detail. Airdrops can be defined as the process whereby a cryptocurrency enterprise distributes cryptocurrency tokens to the wallets of some users free of charge. Airdrops are usually carried out by blockchain-based startups to bootstrap their cryptocurrency projects. Also, established blockchain-based enterprises like cryptocurrency exchange platforms and wallet services can also carry out airdrops as well. There are basically two major types of airdrops; the ones that come as a surprise and the ones that are announced beforehand. For already established blockchain-based enterprises, they may choose to go the route of the former rather than the latter. Getting to know about it might depend on how involved one is in the crypto community. These are the types of airdrops that occur and have people commenting on online forums that their wallets have been credited with coins and no one is the wiser as to where the coins came from. For blockchain-based startups, they mostly favor the route that involves pre-airdrop announcements to get the buzz going. Since the aim is mostly to bootstrap the project, the airdrop process usually involves the completion of a number of tasks by the user in order to qualify for the airdrop. When the date of the airdrop arrives, the enterprise will release the free tokens to the users who qualify. From creating hype and buzz around a new blockchain-based enterprise to rewarding loyal customers, there are a number of reasons why a cryptocurrency airdrop is carried out. The following are some of the reasons for carrying out a cryptocurrency airdrop. From time to time, blockchain-based services like cryptocurrency exchange and trading platforms, wallet service providers etc. wish to give back to their customers and subscribers. Airdrops can be used as a means of rewarding loyal customers with free cryptocurrency tokens. This serves as an incentive that can assure continued patronage on such platforms. This type of airdrop mirrors the voucher and discount giveaways of non-blockchain companies in the mainstream commercial world. In 2017, the cryptocurrency exchange platform, Binance, carried out an airdrop of 500 TRX cryptocurrency to account holders on the platform. The airdrop lasted from the end of October 2017 to the middle of November 2017. In order to qualify for the airdrop an account holder needed to have at least 0.003 BTC in addition to having completed at least one transaction on the account. Binance account holders who had the equivalent of 0.003 BTC in other cryptocurrencies were also eligible for the airdrop as long as they fulfilled the transaction requirement. Marketing is all about leads. Organizations tend to pay a lot of attention to generating appropriate leads that will drive their marketing campaigns and increase patronage. Airdrops can be used by blockchain-based enterprises to generate valuable lead databases for their organizations. In exchange for free cryptocurrency tokens, users will be asked to complete online forms that contain valuable user information which can be used to develop targeted marketing strategies. This application of airdrops to generating lead databases can even be utilized by none-blockchain enterprises. With the sheer size of the cryptocurrency market, a new cryptocurrency can go completely unnoticed if it isn’t given the right boost in terms of substantial marketing campaigns. Just like every other aspect of the digital world, hype and buzz play an important role in the cryptocurrency ecosystem. With many cryptocurrency enthusiasts looking for new cryptocurrency options, an airdrop is a great way to get people interested in a cryptocurrency. The marketing campaigns on social media for an airdrop can lead to increased attention being paid to a new cryptocurrency. Word of mouth advertising and other forms of organic engagements brought about by an impending cryptocurrency airdrop can lead to increased user participation in the cryptocurrency. This can help to bootstrap a new cryptocurrency as seen in the case of Bitcoin Cash. After the Bitcoin fork that led to the creation of the Bitcoin Cash, the developers of Bitcoin Cash carried out an airdrop rewarding all of its users. For every bitcoin held by a Bitcoin Cash participant, the developers gave a corresponding amount of Bitcoin Cash. The end result was that in less than one month, Bitcoin Cash was among one of the top 10 cryptocurrencies in the market. Getting involved in airdrops requires access to information and the ownership of a cryptocurrency wallet to receive the free coins. The first step is to sign up for online services that provide timely information about cryptocurrency airdrops. These include websites, Twitter accounts, Telegram groups, as well as online cryptocurrency airdrop forums. Some examples of such online services include Airdropaddict and Icodrops. These services provide vital information that will help users stay informed about upcoming cryptocurrency airdrops. They also provide information on the qualifying criteria for participating in the airdrops.FundYourselfNow also has an ongoing Airdrop Program. Getting a cryptocurrency wallet is an essential part of being in the cryptocurrency market and that applies for airdrops as well. It is a good idea to get an ERC20 compatible multicurrency wallet since the majority of the cryptocurrency tokens in the market are ERC20 tokens. When participating in airdrops, it is important to be security conscious so as to not fall a victim of fraudulent airdrop campaigns. Some airdrops are designed to hack wallets and steal private keys. Always confirm the authenticity of a cryptocurrency airdrop campaign before participating in it. What is airdrop coin? Don’t miss a single coin airdrop! your number one information site for the best coin-airdrops (it’s the name of the site duh)! Here, you’ll find all the latest airdrops to create money from thin air. Maybe not thin air, but without spending a dime. Because these days you can find dozens of active crypto airdrops at the same time. And tons of people, like you, are looking to get themselves some free coins and tokens. So I decided to aggregate all the coin airdrop info I could find out there. And put them all on this airdrop alert site for you to enjoy! What is a crypto airdrop? What is airdrop coin? First of all, let’s focus on the airdrop cryptocurrency meaning. What does airdrop mean? Maybe you’re a newbie in the crypto world. And it’s better to know what you’re dealing with… So, a crypto airdrop, coin airdrop or cryptocurrency airdrop, is a limited time event created by coin projects to promote their crypto-currencies. How? By distributing tokens or coins to early adopters, for free. In other terms, projects airdrop coin. While there aren’t many requirements to get free airdrop coins 2018, you may have to work a little (create a post, like a page etc.). Or even to share some personal information (share your Facebook profile or give access to your contact list). Also you may need to be active in the crypto-community. Indeed, some crypto-airdrops are restricted and noobs can’t get in… In addition, you may require some coins from a specified blockchain in your wallet. Most likely bitcoin or ethereum, because they’re the most popular out there. But a free coin airdrop can be done on any blockchain. And this brings me to the best part: You can receive free coins anytime, without even knowing about it! Indeed, some platforms give away tokens to people holding some of their coins, just like that. Therefore, I’d recommend you to hold a little bit of the most popular coins in your portfolio. 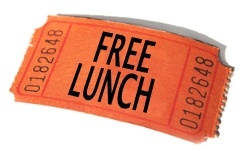 And enjoy as many freebies as possible! Also, don’t worry too much about the requirements now. Because I’m not only offering an airdrop tracker, with a list of airdrops. But I’ll also explain how to get free tokens for all upcoming airdrops! Why do people give away free coins via airdrop cryptocurrency? Now you know what is airdrop coin. But why would projects give away free cryptocurrency? A coinairdrop is a win-win situation: On one hand, you get free tokens which could worth something in the future. And on the other hand, blockchain projects raise awareness for their crypto-projects. Because it’s free advertising for them, giving away tokens that are worth next to nothing. And that way, they’re able to create a community around their coin. Indeed, if you give someone a coin, he or she’ll likely get involved, to get some money out of it. Finally, it seems there’s a new trend of digital currencies which don’t require mining coins. And this is an interesting concept, when we see how much energy and computer power is needed to mine bitcoins. So users don’t mine coins, they generate them during a Token Generation Event (TGE). And sometimes projects distribute all their tokens during a crypto airdrop campaign! Coin airdrop: How does an airdrop cryptocurrency work? Coin-airdrops are a brand new method to distribute free tokens in the cryptocurrency community. As a result, there isn’t any standard set of rules yet. And each blockchain team can request whatever they want from their backers. But always beware of scammers! Legit coin airdrops will never require you to share your private keys. And if you find one that does, please report it to the community. Because unscrupulous people are definitely behind it. While I’ll give you as much details as possible for each coin airdrop, you may have to get in touch with the developer directly. If you need specific coins during a cryptocurrency airdrop, the dev team will make a photo of the corresponding blockchain. And only the people holding the crypto-currency in their wallet at that time will be able to get the free tokens. While you may get the tokens automatically, you may also be requested to claim airdrop tokens on the project’s website. If the free coin airdrop is linked to a social media network, you’ll have to share or retweet a post with a link of the project. And you may need a certain amount of followers to be eligible… Also, some teams request an access to your contact details and list of friends! I received airdropped coins: What next? You’re all excited because you got some free coins. But what now? 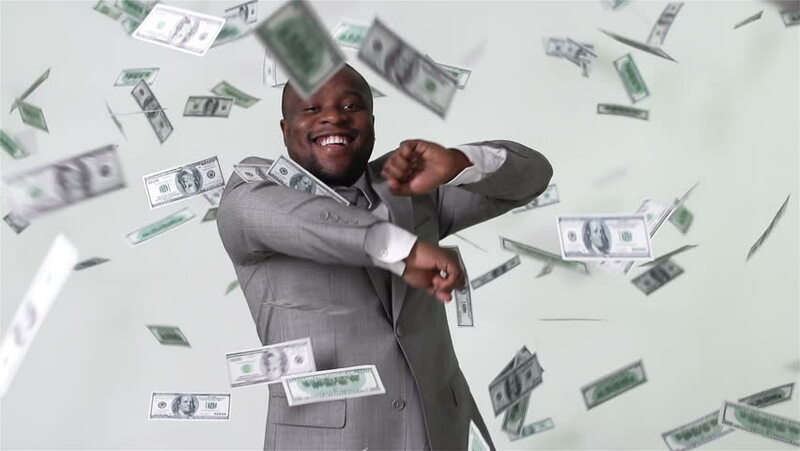 Are you a millionaire yet? Not really… And after a coin airdrop, there’s nothing much to do. Because nobody has heard of the new crypto-currency… And it’s not even available in any exchange, yet. While you can exchange coins with other early adopters, your solutions are too limited. And despite the value the project announces, it’s really worth nothing. But don’t despair yet. Because it becomes interesting when the new crypto arrives in the exchanges. And that’s when you know the real price of what you received. However, most backers usually want to sell their coins, to get “real” money. So the price may not be up to your expectations… Anyway, you don’t have to sell your free crypto coins, you can hold them for a later use. How to keep your new free coins safe? First of all, you need a wallet, to be able to receive, hold and send the newly minted crypto. While you can find many web-based wallets, a.k.a. hot wallets, I recommend you to use a hardware wallet. Trezor is the original and most secure cold wallet. And it’s compatible with most airdrop free tokens! And you must keep secret your private keys to your coins & tokens. Otherwise they’re not yours. Period. While you can share your crypto address, you must never share your private key! If you do, you can say goodbye to your coins. Finally, remember that this is your best airdrop alert website! So don’t forget to register to my newsletter, or to subscribe to my Telegram channel, my Facebook page or my Twitter account. And you won’t miss a single airdrop crypto! An ICO airdrop will happen when a blockchain-enabled project distributes its free tokens to the entire crypto community. In order to be eligible to receive airdropped tokens, you need to own some coins that are based on the same blockchain on which the project is built. A few examples of airdropped tokens that have had successful ICOs such as Cell Blocks, Bunnytoken, Data Broker Dao and later become popular cryptocurrencies include OmiseGo, Stellar Lumens, and Byteball. You can also check out an ICO beginners guide to get more information on how the tokenized economy works. It is helpful for the investor to know about the best ICOs to invest. Some airdropped tokens are conveyed to the targeted audience through social media posts, or the receiver can even get in touch with a team member on the bitcointalk.org forum. Put simply, the blockchain-based project giving away the free tokens uses airdropping as a marketing move. During the pre-announcement phase, the project backing the event will click a “snapshot” of the blockchain. If, at the time of taking the snapshot, someone is holding Bitcoin or Ether, they’ll receive a specified number of free tokens. Airdropping can be done on any blockchain, but Bitcoin and Ethereum blockchains are the most used, owing to their popularity. How to apply for airdrops ? Every airdrop will have different rules. If you’re organizing an airdrop, create your very own Bitcointalk forum account. Through this account, the visitors will first apply for the airdrop. While applying for an airdrop, the visitor will need to contact the forum’s modulator via personal messages. A classic example of this format is the Ethereum Dark airdrop. Any person who wanted to apply for the ETH airdrop needed to send a personal message in order to receive the tokens. However, a newbie operating on the forum will be refused the airdrops. If you are looking to receiving airdrops through a forum, then post occasionally on it to secure a high rank. Sometimes, receiving an airdrop will even require you to retweet on Twitter; many times, you should have a specific number of followers on a social media channel to be the receiver of an airdrop. All in all, you have to maintain active social media accounts in order to be eligible to receive free tokens. Also, check your crypto wallets frequently to see whether you’ve received a surprise airdropped token. Some platforms, such as Komodo or Waves, have already delivered airdropped tokens to their holders without any prior announcements. If you’re an investor holding a diverse cryptocurrency portfolio, you’re likely to receive more airdropped tokens than others. Why would a blockchain project deliver free tokens, anyway? If you aren’t paying a single penny for the product, then that means you’re the product. By doing an airdrop, a project may successfully create undeniable awareness about its tokens or its ICO sale. By executing airdrops, the team behind an ICO project will attract people who may be interested in it or may not have heard about it. When an airdrop is successfully carried out, the token’s price can experience appreciation. 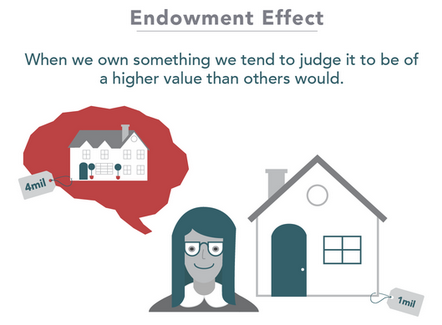 (This phenomenon is called the endowment effect.) Airdrops, if done successfully, can create a big network/community of people who actually own the tokens. Plus, an airdrop can also plant a seed. There are thousands of cryptocurrencies, today; however, do you remember the name of any coin except the popular ones? Well, if you’ve received a free token during an airdrop, then you’ll remember its name when you see it as a coin on an exchange; that’s how the seed gets planted. In short, airdropping a token is similar to advertising the whole project. Similarly, Influencer marketing is a powerful route to market for your ICO, where well- known brand campaigns reach engaged audiences. Today, ICO-launching businesses are building exclusive marketing campaigns. By carrying out well-planned marketing strategies, a business tries to spread the word about its upcoming ICO pre-sale and crowd sale. When it’s about ICO marketing, it’s definitely about airdropping. As one of the most powerful marketing strategies that ICOs are adopting today, airdropping is becoming known for improving an ICO project’s traction by a wide margin. Today, investors are more interested in knowing about the process of receiving free tokens. Some of the airdropped ICOs want their prospective investors to retweet a pinned tweet or like a Facebook page. Likewise, airdropping can even include an investor getting paid for watching an ad or a pre-roll. According to this strategy, investors are given airdropped tokens for performing different tasks on social media channels. This strategy lets businesses reward tokens to anyone who has signed up on a specific network. 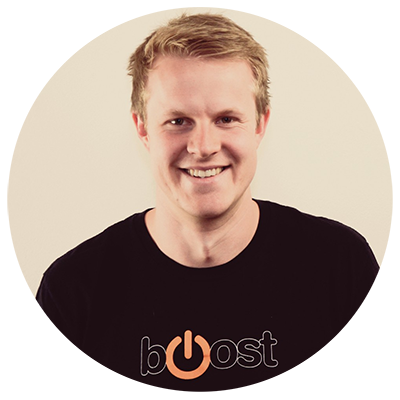 According to this strategy, a business gives reward tokens to all its existing customers whose referrals successfully sign up on a network. These airdropped tokens are given to the token holders of the blockchain that is getting hard-forked. In this airdropping strategy, the token holders generally receive a duplicated amount of freshly generated tokens. In the crypto landscape, some websites may host exclusive airdrops. Generally, these airdrops are far more rewarding than a traditional airdrop. Is there a place to sell the airdropped tokens? Now, once you own free tokens, what will you do with them? Many projects that distribute free tokens are still in their pre-ICO phase or have just winded up their ICO sale. Because of this, the tokens won’t be traded on bigger exchanges for the time being. However, once the token that you received during an airdrop increases in its value, you may sell it on any leading exchanges that list it. There are a few crypto exchanges that buy and sell airdropped tokens. To trade the freebies on the exchange, you need to first create an account on the platform. Some previous ICO projects did many airdrops. (These projects include DECRED, Ripple, and NEM.) Plus, you needn’t immediately sell your free digital holdings because there’s nothing wrong with being a HODLer. Also ICO Stats are informative and helpful for the investor in the way that they can get knowledge on how to invest in ICOs. In order to secure free tokens, you’ll need some of the following tools. Most of the airdropped tokens comply with the ERC20 standard, so it’s best if you have a wallet that’s ERC20 compatible. For example, you can use either MyEtherWallet or MetaMask as your Ethereum Wallet. Having a wallet that’s never been used doesn’t work if you want to lay your hands on some free tokens. It turns out that you have to own an Ethereum wallet that’s been used. Some companies may even check whether you’re a spammer who’s created a bunch of Ethereum wallets just to get a sizeable number of free tokens. The company that’s doing the airdrop will check that by analyzing the activities done in the wallet. The airdropping company wants to boost its token value and that’s exactly why it may ask you to sign up for its own Telegram account. The more users who join its Telegram account, the better visibility it gets on this chat client. Most importantly, you’re not supposed to leave the company’s Telegram account until you receive the airdropped tokens in your wallet. Sometimes, you may receive an airdropped token just for retweeting a pinned tweet. That’s why it makes sense to follow the company that’s organizing the airdrop on Twitter or similar social channels and to do its bidding. How can I safely store the free tokens? One way to securely store all your airdropped tokens is by putting them in a cold-storage wallet or a hardware one. Such wallets store all the tokens offline, and that’s what protects them from getting hacked. You can choose from a wide range of hardware wallets—our pick would be either Trezor or Ledger Wallet Nano S. However, every token cannot be stored inside a hardware wallet. If your tokens aren’t compatible to be stored inside a hardware wallet, you’ll have to put them in an online wallet. Your online wallet is controlled with a private key, which isn’t shared with anyone. To avoid being victimized by a crypto scam that’s masking as an airdrop, we’ve listed some general rules. Your wallet should have a two-factor authenticator. Always be careful while downloading the wallets of the smaller projects. Never click on any link that’s redirecting to a wallet. Don’t give your primary email address while applying for an airdrop. Don’t ever reuse the same password for two websites. Don’t ever send any payment to receive the free tokens. Often, you’ll see a currency organizer asking for your private key in order to send you some airdropped tokens. However, never ever share your private key with anyone. If the airdrop is legitimate, it won’t ever request you to supply such critical data to receive your free rewards—it’s as simple as that. The ICO space, by and large, remains unregulated—that’s exactly why you shouldn’t allow any scammer to get the better of you anytime, anywhere. These scammers usually lie in ambush waiting for an airdrop to happen. As soon as there’s an airdrop, they may try to generate fake “phishing” sites and portals; these portals or sites are engineered to take away your crypto keys. So, you should hammer home this message—never give private keys to any company that’s airdropping free tokens. Of course, just because an upcoming airdrop is legal, it doesn’t mean you’ll end up making a lot of money from it. Most of the airdrops in the crypto landscape are done whenever an ICO needs a power-packed launch. Plus, sometimes, airdrops may even happen whenever there’s a solid possibility that the token’s value won’t be high. However, in the end, you will never be sure about an ICO’s true value until you have read its project’s white paper and reviewed the website. It is necessary to be aware of marketing trends of ICOs before investing. ICO marketing guide is very helpful to get the clear idea for it, also ICO events organized by their respective companies provides a very good overview of market aspects. It is always best to go through the project’s white paper or its website to check ICO services before making the final decision. You should even read about the project’s development team and analyze its social media pages. You need to see whether the team that’s organizing the airdrop is actually interacting with its community or answering their questions. If they’re interacting with their and answering every single question, then the development teams will probably be legitimate. In addition, a good airdrop will be the one that will need some of your details as part of the KYC process; once you give the information, you’ll receive the free tokens. Finally, if an airdrop is actually completely legal, it may also have been mentioned on the crypto news outlets. So you need to bookmark some quality crypto news sources that are constantly being updated. We always strive to not list any scam ICO projects. Our team does thorough research before listing any ICO project (such as Gamblica, Guardium, TrustedHealth, Fintechbit) on the website. Nevertheless, it’s still possible for us to miss a scam project. So as a crypto investor, you should always look out for a scam. If and when you find one, you should notify us. That way, you help us keep the site clean and warn other crypto investors about fraudulent ICO projects. Before taking part in any new airdrop out there, it’s essential that you research the project and believe in its vision from the beginning. You should even analyze the technology and the concept backing the project, and then only decide whether it makes sense to participate in the airdrop. You should also keep track of all scams and always remember that a completely legit project will have no business in knowing your private details. All in all, airdrops will remain a super-exciting way to learn a bit more about the project and even its development team. Remember that airdrops won’t ever need your money, but it’ll definitely want your time and patience. Finding the right airdrop is often easier said than done. So, as an investor, you have to be smart enough to know everything about every project you’re involved in. Plus, it’s better to go the extra mile in order to keep your entire data safe. To get latest updates on ICOs you can check ICO list. Last but not least, we remind you to never give your private keys to anyone who claims to want to deliver free airdropped tokens to your wallet. Ethereum Wallet Address: To deposit your tokens. Create one instantly at MyEtherWallet. Telegram Account: Telegram is a mobile chat app many companies use to communicate with users. You’ll need to install the Telegram app on your smartphone. Phone Number: Set one up free on Google Voice if you want to avoid giving out private information. Only 1 airdrop required a phone number (HedgeConnect), but they didn’t verify it anyway. To get 15 LNO tokens, simply follow the link, follow LINO’s Twitter page and retweet a message. You’ll also be given a referral link you can share to earn 5 additional tokens for every new user. Sphere is aiming to create a decentralized social network. They’re offering 50 SAT tokens free when you sign up. Just follow the link, create an account and confirm your email address. Tokens are currently selling for $0.05 each, making this airdrop worth $2.50 before the official launch. Shivom is running a very limited airdrop, supposedly valued up to $9 USD, according to Airdrop Alert. Simply follow the link, join the telegram and retweet 2 messages from Shivom. The tokens are due to distribute in June after the ICO sale. To sign up for this airdrop, you’ll need to be on your mobile phone. Follow the link to join their telegram channel (download the telegram app if you don’t have it already) and type “/claim” into the message window. You’ll get an immediate response that includes a link to redeem your token, and a referral link you can use to earn extra. To redeem your tokens you’ll actually be given a 12-digit code. Because HPT has not actually launched yet, you’ll this code to claim your tokens in February, after their initial coin offering. Write it down or copy/paste to save it in a safe place! Okay, so this isn’t exactly cryptocurrencies, but the stock-trading app RobinHood is giving away 1 free stock when you sign up for their platform. You don’t need to deposit any money, or even provide a credit card/bank account number. Simply create an account, and claim your free stock. Most free stocks are worth around $5, but Robinhood is transparent that 1 in 100 will receive an Apple, Facebook or Microsoft stock, which are valued around $100–160 USD. Cryptocurrencies are also coming to the platform soon, and may be a part of this promotion in the future. Unlike the other airdrops, Robinhood will require your full information, including home address and Social Security Number. Don’t be alarmed; they are a completely legitimate brokerage company simply complying with federal regulations. Robinhood will track your investments and send a 1099 at the end of the year (similar to Vanguard, Fidelity, or any traditional investment platform). But personally, I’m looking forward to using a trading platform that will make tax time simple, compared to the clusterf**k that crypto-taxes are turning out to be. Some of these airdrop promotions provide me with extra tokens/stocks for referring other participants. I do not work for or represent any of these companies; referral fees are simply a way to earn a small income from my writing and help support my blog. Thanks for reading, and be sure to check back for next month’s airdrops! They say you get nothing for free in this life, but tokenized projects running airdrops would beg to differ. You can now get a whole lotta crypto assets for free – hundreds of them in fact – simply for signing up and following some social channels. What started as a novelty has become the norm, with a vast number of ICOs now earmarking a portion of their tokens for free distribution. Questions remain though about the legal status of airdropped tokens in an age where anything related to crypto risks being labeled a security. Most of the tokens awarded are ERC20s, though other blockchains have also caught on; NEO for example recently distributed ONT via an airdrop. Just like an ICO tracker, Airdropalert filters offers based on upcoming/active/past. Tokens currently up for grabs include Boutspro, Yee, Sofin, and Aelf. Giving away tokens is easy in the early stages of a project when they’re literally worth nothing. The trick is getting the airdrop community to start using these tokens on the platforms they were designed for. If that occurs, and the project reaches critical mass, the tokens should rise in value, and then everyone will be a winner. Or so the theory goes.